Previously I indicated that I don’t usually shoot the sun during sunsets. There is an exception to every rule and some sunsets are just made to be photographed. Such was the case on this recent summer evening. The color, shape and design of the setting sun begged to be shot. 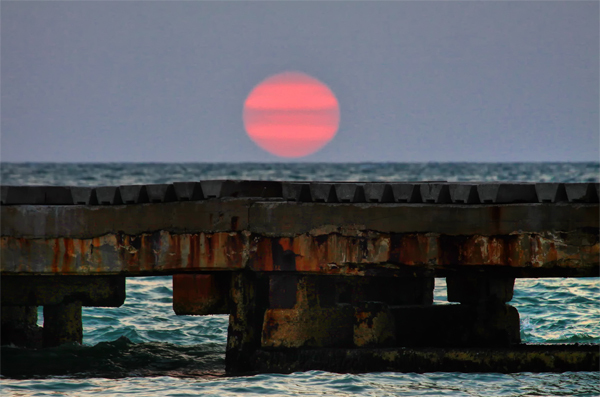 Using the old, rusted pier as a reference I captured this classic end of day image. 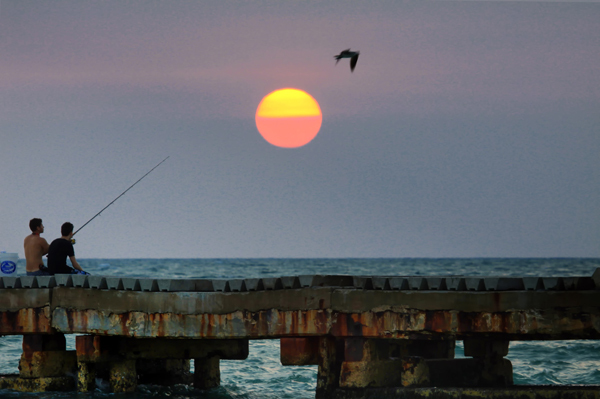 The fisherman seemingly catching the sun as it set in the first, more commercial image, was an added bonus.